As a parent I am constantly hunting for meaningful, relevant, and inspiring books to share with my children - especially books that deal with topics that I'm passionate about. 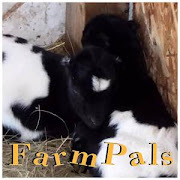 Just over a year ago, I heard about a local author writing a children's novel that explored some of the current issues around modern homesteading. While many people still understand and romanticize farming; the perception of the urban homesteader is much harder for people to grasp. 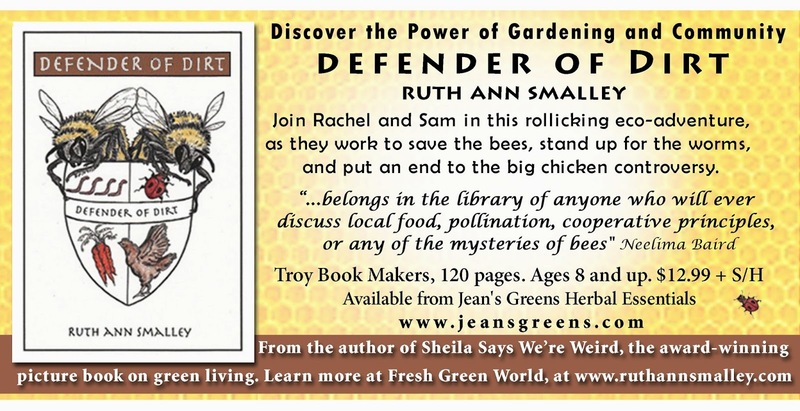 I was thrilled to learn more about this ground-breaking book that presents these topics to our next generation and am excited to share a little more with you here today about Ruth Ann Smalley's new book: Defender of Dirt. Defender of Dirt follows the adventures of two children, Squirrel and Sam, as they move to a new town. 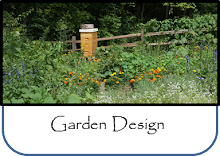 It doesn't take long for them to discover some interesting habits of their new neighbors including: gardening, raising chickens, building with cob, and providing habitats for bees and worms. As new homeschoolers Squirrel and Sam set off to learn more about why it's important to think about the natural world around them and to reconsider some of the choices they make; including the food they eat. With the help of their new friend Mae, as well as others, they quickly become part of this new community of people trying to live in harmony with the earth. 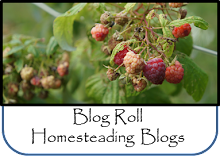 Not everyone in the neighborhood agrees with the backyard farming ways of the family next door however, and the Franklin family down the street seems intent on spying and turning people against them. The Franklin's think of chickens as 'against the law' and bugs and birds as 'vermin'. Sam and Squirrel learn their biggest lesson when they decide to stand up for what they believe in and support their new friends on their urban homestead. 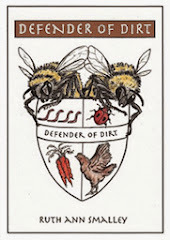 Defender of Dirt not only carries the reader smoothly through the plot, but is filled with bits of information the children gather through their own curiosity about GMO's, pesticide use, the importance of pollinators, and of course the benefits of coming together as a community. With more and more people interested in growing food and raising animals, this book looks at the modern issues that drive the backyard farmer and presents them in a way that everyone can understand. The book is without a doubt a page turner and is full of wonderful illustrations that keep the imagination going. While this did work as a read-aloud book for my 5 year olds (they just wanted me to keep reading), many of the topics will gain a deeper meaning when shared with a slightly older crowd (8+). Inspiring the next generation of urban homesteaders is one of the best things we can do for our world. Defender of Dirt is the perfect balance between green living inspiration, environmental awareness, and just plain fun. 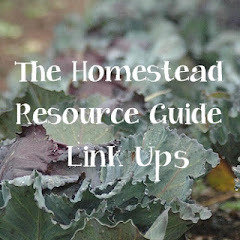 If you are looking for a book to inspire a young homesteader as well as broaden their viewpoint, this is the book; it is a must-have for any aspiring homesteader. Thank you to Ruth Ann Smalley for allowing me to review a copy of this book and having the opportunity to be involved in this truly inspiring project. I can't wait to pick up a copy of this book for myself. 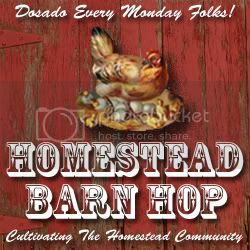 As a homeschooler and urban homesteader I can relate! 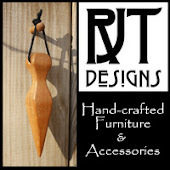 Thank you for the review! Do you know if/when the book will be available via Amazon? I found Sheila Says We're Weird, but not Defender of Dirt. I believe you can also buy copies at the Open Door Bookstore in Schenectady NY - you will have to call though. The book is not on Amazon. I may just have to get this book for my grandchildren. Wicked cool! So going to order this book - thanks for reviewing it!